GNU Public Licensed (GPL) themes can offer you a lot of freedoms for developers! They allow you to use themes on multiple websites as well as sell derivative works that you make using the themes*. There are multiple websites that offer GPL themes. 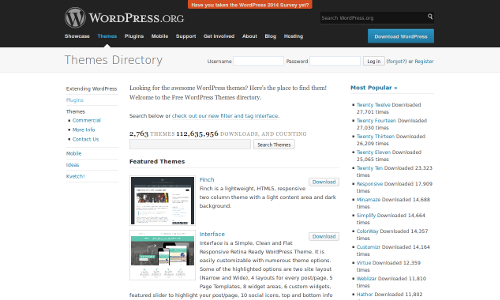 If you are using WordPress, wordpress.org offers an official list of over 2500 free, GPL WordPress themes. On WordPress.org, these themes are searchable by keywords and tags, including colors, columns, and layout (fixed, fluid, responsive). WordPress.org also provides graphs of the number of times the themes have been downloaded, creating an easy guage of popularity popularity. 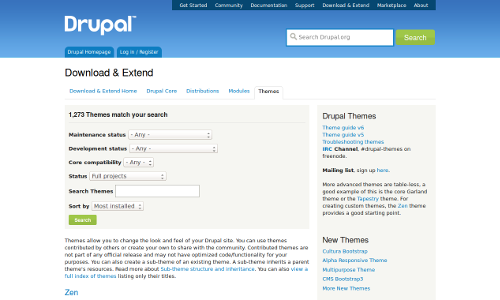 If you are using Drupal, drupal.org offers a similar list of over 1200 free GPL Drupal themes. The search data is more technically oriented, facilitating searching for project and maintenance status, as well as by keyword. Additionally, usage statistics are available, showing the number of times the theme is actively used on real websites. Theme Forest also offers themes that are licensed with GPL. Although most of their themes use the standard Envato/Theme Forest license, in 2013, they allowed themes to be sold with GPL. Each of these has great themes. The time intensive part is comparing themes between sites and finding options that exactly match what you need. The fastest way to find GPL themes is to use an aggregated theme search engine. This will allow you to search through multiple sites at the same time, returning the best results without having to go from place to place. 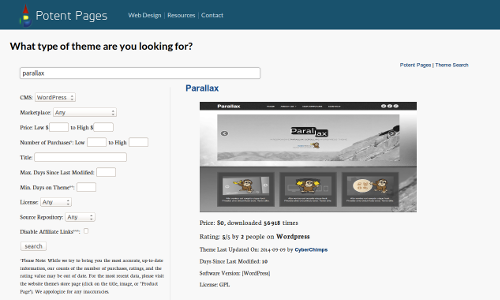 To make searching for themes across multiple websites easier, at Potent Pages we created a website theme search engine. To find themes licensed with GPL, simply set the “license" to “GPL", enter in your desired options, and click “search". Our search engine has aggregated the themes from WordPress and ThemeForest (we don’t have the Drupal official GPL list yet). *Please note that we are not lawyers nor your lawyers. Please don’t consider our writings legal advice. If you have any law-related questions, please consult an attorney, solicitor, other legal expert in your area.